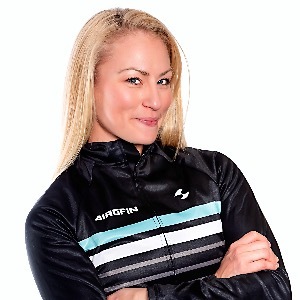 Raya is an Ironman certified coach assisting athletes competing in ITU and longer distances. Having been a former Canadian International Alpine ski racer, Raya understands the intensities, pressures and physiological demands that are placed on athletes no matter what level they are competing. Raya capitalizes on her international sporting background to help push but at the same time support her athletes to their desired levels, whatever those goals may be entered around each individual athlete. Following a long break from sport due to injury Raya went into business and had her own consulting firm in Private Equity for 7 years outside the sport of triathlon. She can therefore relate to the everyday pressures and strains placed on athletes trying to deal with work, life, balance and sport! Raya has been competing in triathlon for 5 seasons and has competed in all distances from Sprint to full Ironman distances and is European and World Champion qualified athlete in Aquabike, Middle and long distance. Success. Coach Raya Hubbell has been notified of your message.